Himalayan Salt Lamps have negative ions that are said to help purify and freshen the air, reduce allergy symptoms in the home and have a calming effect on those in the vicinity of one of these lamps. While some people believe that the effects of these lamps are more placebo than actual, others state that they really do work. Whether or not these lamps really perform all of the benefits attributed to them, people enjoy owning and using a Himalayan lamp. 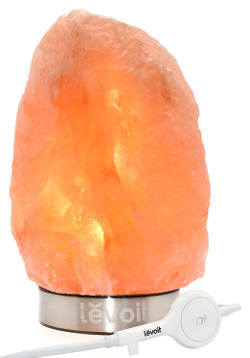 So, here is a look at some of the best Himalayan salt lamps. This handsome Himalayan salt lamp has a natural Neem wood base, a bulb with a dimmer control and can be purchased in a variety of sizes including 4 to 5 inches, 8 to 9 inches, and 10 to 11 inches. It is made and hand carved in Pakistan and when lit, it gives off a beautiful calming amber color. Both the lamp and the cord assembly are UL approved. 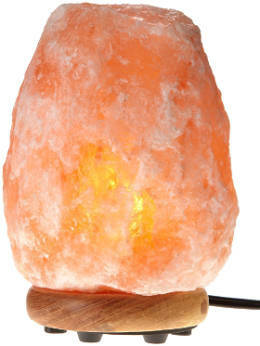 This is a very popular Himalayan Salt lamp with lots of great reviews. Users love its peachy/orange glow and say that the lamp really improves air quality. It is soothing to look at, easy to set up and it does help to freshen up musty smells in rooms or homes. It also has a very sturdy base. 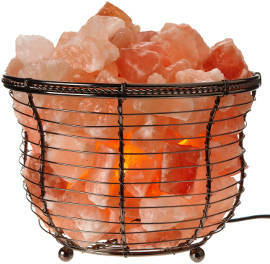 This is a very unique and beautiful looking round basket style Himalayan Salt Lamp which comes with your choice of different containers for your lamp including a Bamboo basket with or without a shade, Oval basket, Picket fence, Pillar basket, and Tall round basket. This lamp has a 25 watt bulb and a 6 foot cord for easy plug in. Users´ feedback is exceptionally good. People find this lamp to be elegant looking and extremely pretty when lit. They also do state that the soft orangey glow relaxes and calms them while it also makes for a great night light. The baskets are high quality and add to the overall look of the lamp. 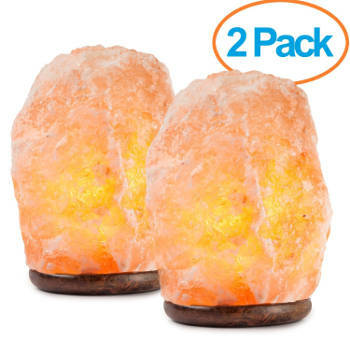 This Crystal Allies Gallery Salt Lamp comes in a pack of 2. You get two lamps for the price of one and you can even choose between two different sizes, the 6-8 inches and 10-12 inches. It also has a 15 watt light bulb with a wood base. 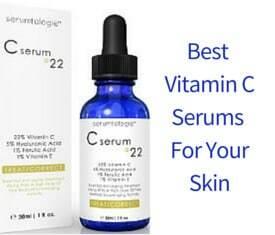 This is a popular choice for consumers who seem to be very pleased with it. They review that it is extremely nice looking and has a soothing light. Its unique shape of this lamp makes for a wonderful conversation piece. Users love the dimmer switch and the natural orange glow of the light. A few users have even stated that they sleep better when they have this light on in their bedroom as it seems to relax them. The Levoit Natural Himalayan Crystal Salt Lamp looks very modern with its stainless steel base which also serves for safety and prolonged life span. Only high clarity, best shape and pure color salt crystals are hand selected and carved to offer good light transmittance and less spotting. It has touch control dimmable lighting and a UL listed cord. Two bulbs are included and the company offers a 1 year limited guarantee. They also state that the lamp is carefully wrapped and sealed to protect it from moisture or damage. People are very pleased with this product, reviewing that it emits a very warm glow and that it makes the air in the house cleaner. Overall, it is of a high quality and the dimmer control device works great. The packaging is also very good. 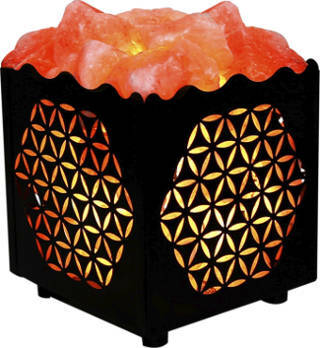 The metal basket for the Crystal Decor salt lamp comes with various designs giving consumers a choice of star, flower, cross, sun and lots of other designs. It provides natural warm lighting and measures 5” X 5” X 5.” It also has a dimmable cord so that it can be used as a night light. User reviews are extremely good with most people finding the design of the basket they chose to be beautiful and elegant. Several of them have mentioned that this lamp cleans the air. The warm glow it emits is very calming and users love the dimmer and say that this lamp makes an excellent night light in any room of the house. If you want a Himalayan Salt Lamp that is different than the others, this Globe Sphere salt lamp might look really engaging. 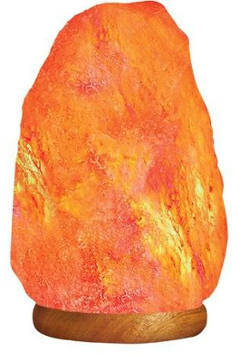 The quality of it is the same as the other salt lamps offered by the Crystal Allies Gallery Company. This sphere sits on a wooden base and has a low-wattage bulb, a 6ft UL-Listed Cord and a dimmable rotary switch. It is available in different sizes. 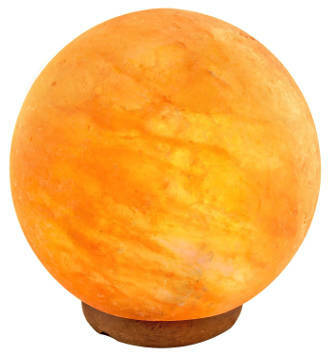 People find that this globe salt lamp attracts the most comments from the guests with its unique shape looking like a glowing planet and it is really calming and beautiful. It takes a little time to warm for the ionization to take place. 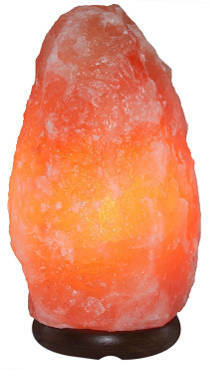 This Rock Salt Lamp weighs 6.4 pounds and the size is 6-7 lbs. It has a good quality polished base made of wood and comes with a UL/CE certified cable and a bulb. The dimensions are 8 x 5 x 5 inches. 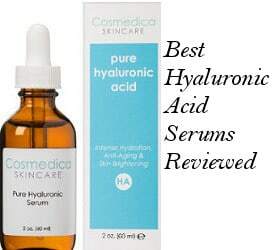 Consumers give this product quite good reviews. They find the lamp gorgeous and of a good quality. It makes a good night light and the orange light is extremely calming. Several people have said that they have less allergy symptoms at night if this lamp is in their bedroom. The polished wood base is also beautiful. 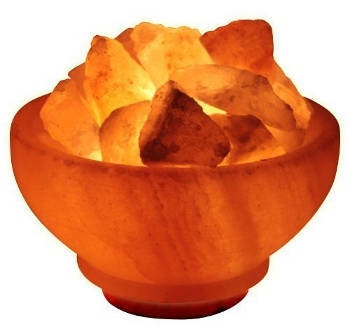 This Natural Himalayan Salt Fire Lamp uses rough salt crystals and a glowing bowl. It has a dimmer switch, measures 6” X 6”X 6 “ and weighs about 6 pounds. Consumers think this is a beautiful lamp and a real conversation piece. It seems to reduce dust, freshen the air and provides a warm glow. People with anxiety symptoms get some type of a relief from it, saying that it feels calming and soothing. It is also classy looking. 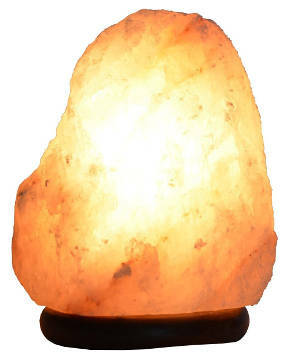 This AMSkart handcrafted salt lamp has a rough unfinished surface and is totally natural. It emits an amber color that is calming while the negative ions released to the air purify the air and help you feel more relaxed. Asthma and allergy sufferers also find this lamp very useful in minimizing their symptoms. In addition, a 100% satisfaction guarantee is provided by the company. This same lamp is also available in 7-8 inches and 5-8 lbs. People talk about a number of benefits they experience when using this lamp. It keeps the dust down and there is a clear improvement in the air quality. The dimmer works fine and the glow is relaxing. Some people who have bought it are thinking of buying one for each room of their house while others are considering that it will make a great gift for Christmas or any other special occasions. 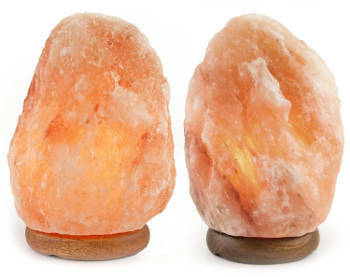 This Hemingweigh Himalayan Salt Lamp is handmade in Pakistan and comes in a pack of two. It is 7 inches tall, 4 inches wide and has a UL approved cord. Since every lamp is unique, customers receive lamps that are very similar to the picture shown. Actually the company states that the products’ accuracy is up to 90% in weight and shape categories. People seem to be very pleased with their purchase and lots of them offer this lamp as a gift. There was one reviewer saying that one of the lamps in the pack had a rich orange color while the second one had a lighter pink, so she used the lighter one in the bedroom where less light is needed during sleeping time. Overall, users mention that these lamps seem to be effective in terms of purifying the air. According to the company, the Exotic Pink Salts Himalayan Salt Lamp delivers a pink hue that creates a relaxing atmosphere and has a number of other health benefits. 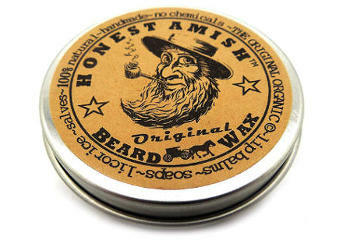 It comes with a polished wood base and is followed by a 100% money back guarantee. People recommend buying the bigger size of this lamp and they overall seem to be pleased with its performance apart from few negative comments that had to do with the light not being bright enough and the lamp not getting warm enough. All in all, if you are looking for a Himalayan salt lamp to help freshen the air, beautify your home and provide a feeling of calming warmth and relaxation, one of these best Himalayan salt lamps will be ideal.